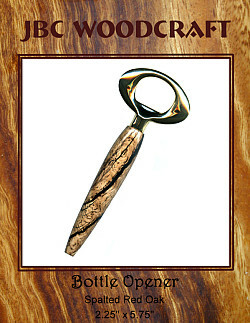 Pop the top off your favorite beverage with this one-of-a-kind Bottle Opener by JBC Woodcraft®. This handsome design is handcrafted from Spalted Red Oak with 10 kt. gold-plated Steel hardware.